2119 - Zephram Cochrane inaugurates the warp five facility with Dr. Archer. It is often thought in the proceeding years that the Vulcans held back just enough to stop NX-01 from being launched. Some go as far as to say the Vulcans don't let humans go to the toilet without their assistance. 2151 - Klingon scout ship crash lands at Broken Bow, Oklahoma, Earth. Captain Jonathan Archer and the crew of the Enterprise NX-01 make First Contact with the Klingons. Phase Pistols are used for the first time. A second encounter with the Klingons shows that they do not like their battlecruisers being approached by strangers and threaten that the next time they will destroy the Enterprise. [Authors Note: from Enterprise 'Broken Bow']. 2152 - The mining colony on Paraagan II is destroyed by the Suliban Cabal in an effort to frame the Enterprise and discredit their mission. NX-01 Enterprise runs into a cloaked minefield belonging to a system annexed by the Romulan Star Empire. First Contact is made shortly after. The crew of Enterprise helps some alien mining colonists how to defend themselves against Klingon harassers. Captain Archer mediates between the Andorians and Vulcans. Ambassador Soval and Commander Shran agree on a cease fire between the Vulcans and Andorians on Paan Mokar. Enterprise stops an orbital conflict between the two forces. Shran and Soval end their negotiations in positive mood, setting the stage for future negotiations. NX-01 Enterprise finds a small craft from the future adrift in space, and both the Suliban and the mysterious Tholians are intent on retrieving it. First contact between an Earth vessel and the Tholian Assembly occurs. Captain Jonathan Archer is convicted in a Klingon tribunal of assisting Arin'Sen renegades fleeing from Raatooras. He is incarcerated in imprisonment on Rura Penthe but flees. Relationships between the Klingon Empire and Earth continue to deteriorate. Earth first contacts this year include the Arkonians, the Kriosians, the Kreetassans, the Retellians, the Risians, Wisps, and the Takret. 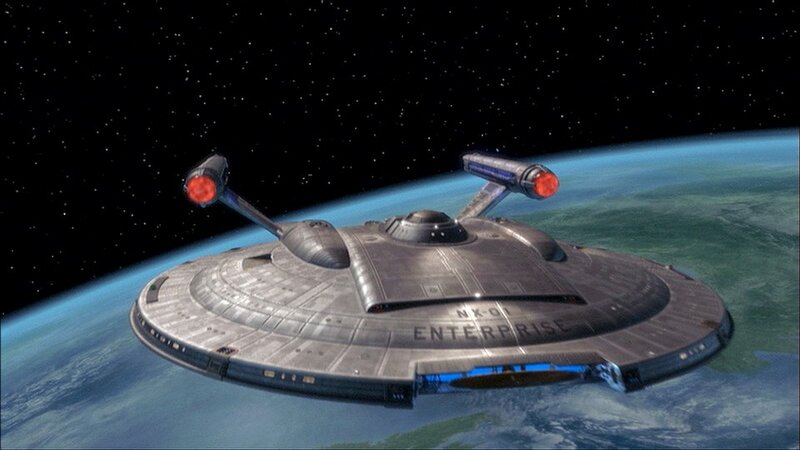 2153 - The construction of the second NX-class starship, NX-02 Columbia, begins. The Enterprise makes first contact with the Vissians when they both study a supergiant. The wreckage of an alien (Borg) sphere is discovered at the North Pole on Earth having been buried there for 90 years. The surviving cyborgs manage to steal a transport and escape Earth before they are intercepted. Enterprise catches up with them and manages to destroy the assimilated transport, but the aliens manage to send a subspace signal to the Delta Quadrant that will take 200 years to arrive. Skalaar captures Catain Archer and intends to give him back to the Klingons. However in the process he helps him escape and return to the Enterprise. March: Earth is attacked by the Xindi probe from the Delphic Expanse. The attack decimates a large area between Florida and Venezuela, killing seven million people. In April, NX-01 is sent into the Delphic Expanse to locate the Xindi. Nathaniel Hawkins' previous family relative, MACO Corporal F. Hawkins, accompanied Captain Archer, Lieutenant Malcolm Reed, and science officer T'Pol on a mission to board the Vulcan starship Seleya, which the Enterprise crew had discovered derelict in the Expanse. Hawkins used the 'kill' setting to stop the violent survivors. He would later concede the use of lethal force was not appropriate for a rescuse mission. The second Xindi superweapon is foiled by NX-01 Enterprise. The Vulcan V'Las government faked evidence that the Andorians were developing a weapon of mass destruction based upon stolen Xindi technology, they used this to justify a pre-emptive invasion of Andoria. They also aimed to discredit the pacifist Syrrannite sect by bombing the United Earth Embassy on Vulcan and framing them. Jonathan Archer worked with the Syrannites to discover the lost writings of Surak. V'las was overthrown in a coup and the works of Surak were adopted by the Vulcan culture. 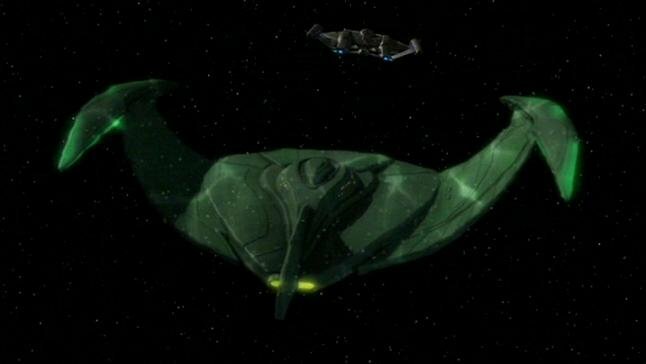 The Romulans, fearful of a union between the Humans, Vulcans, Tellarites and Andorians used a chameleon prawn-drone to attack the different forces whilst imitating ships of the other races. This was an attempt to cause conflict and prevent the Coalition from forming. The attempt fails and the Coalition of Planets is formed. During the investigation the Aenar race are re-discovered. 2155 - February 2155 - The Romulan sent a small spacecraft to collide with the planet Coridan at warp speed. This was an attempt to stop the vast dilithium wealth of the People's Republic of Coridan from being used by the Coalition of Planets. The PRC, having lost half a billion people and much of their dilithium reserves, declined to join the Coalition. 22 July 2155 the Romulans were able to hack into Klingon vessels and cause them to attack the S.S. Kobayashi Maru. Vulcan ships were similarly attacked.The Romulans plan to get a beachhead on Calder II. 26 July Enterprise rescued colonists from an attack on Tarod IX. The Ferasans take advantage of the situation with the Romulan Star Empire. The Ferasans, like the Romulans, are weary of the growing military strength and political power of Earth now that they lead the Coalition of Planets. The Ferasans have clashed with Earth before in the late 21st and early 22nd Centuries. As the Coalition of Planets has sent scout vessels and colonial missions into Ferasan space, so they have been boarded, their occupants killed and eaten. Captain Jonathan Archer and the Enterprise NX-01 is sent to investigate the attacks and negotiate a peace. The Kzinti were due to return in ST: Enterprise season 5 and to be the principal threat for that season. Building on the fan history for this species, and the unused story by Jimmy Diggs, this is the major conflict with the Ferasans/Kzinti that is resolved after the (larger) Romulan war. 2156 - U.S.S. Columbia, NX-02, is lost with all hands. No wreckage is ever found. The Federation starbase in the Algeron system is attacked and the Columbia and Excalibur are lost Admiral Gardner is replaced by Admiral Rafael Douglas. 14 October the U.S.S. Patton is lost to Romulan forces. 1 June 2156 war is declared by the Coalition of Planets on the Romulan Star Empire. 20 June 2156 the NX-05 Atlantis is destroyed over Tau Ceti IV. Endeavour NX-06 successfully defends Altair IV from Romulan attack. Last contact with the Klingon Empire for a century (Netflix description for Star Trek Discovery pilot). 2158 - 1 October 2158 the neutral world of Denobula is attacked by the Romulan Star Empire and used as a staging ground for an assault on Earth. The Battle of Sol consisted of an attack on the Verteron Array, an attack on Utopia Planitia Fleet Yards on Mars and on Earth itself. A second hidden verteron array on Venus destroyed the Romulans and the NX class ships had been evacuated after Denobula had been attacked. 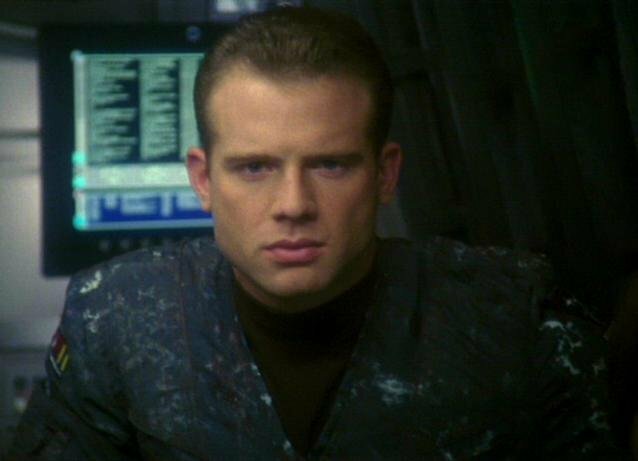 Bryce Shumar and the Intrepid hid with a battalion behind Mars and attcked the remaining Romulan ships - six out of ten of the warbirds were destroyed before they retreated. 2161 - United Federation of Planets is formed on July 4th. Starfleet Headquarters are set up in San Francisco on the American continent. The Presidential office is constructed in Paris, France. Several starbases are inherited from the period prior to the formation of the Federation. Full and immediate cessation of hostilities by the Ferasan Patriarchy against Earth and all other Federation member worlds and colonies. Disbanding of all Ferasan Patriarchy military and naval forces, retaining only police border patrol forces and ships. Maximum tonnage of frigate size. Federation inspectorate forces will be allowed access into Ferasan space, worlds and colonies at all times to verify compliance to the de-militarisation of the Ferasan Patriarchy. Ferasan Patriarchy space to be limited to a 50 light year sphere. A de-militarised zone will be established around this. Starfleet will establish a De-Militarised Zone force to both monitor the Ferasan people and also affirm the border of the Ferasan Patriarchy against outside threat forces. Starbase 25 will be established as the oversight base for the Ferasan DMZ and Starfleet forces. All negotiations pertaining to, and with, Ferasan Patriarchy matters will take place here.